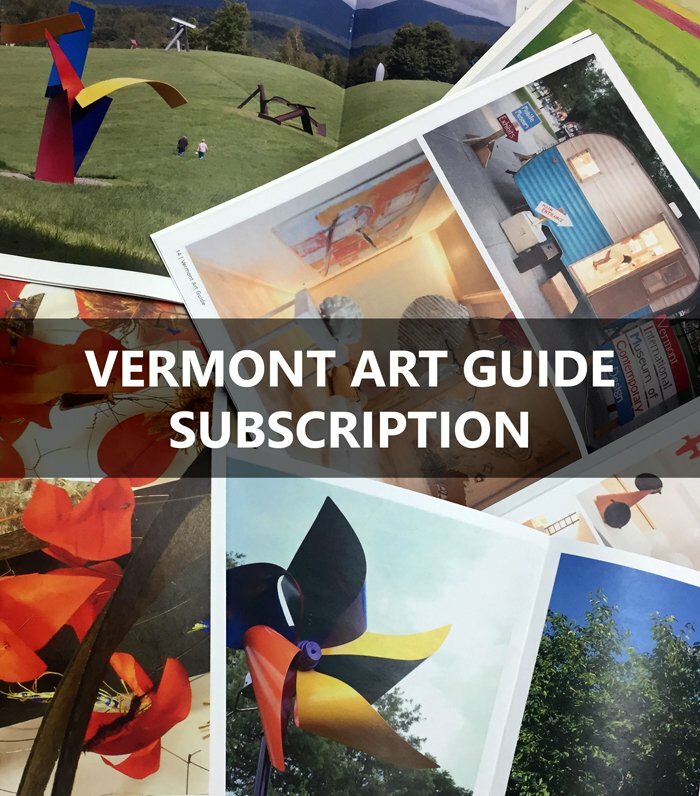 The Vermont Art Guide in partnership with Vermont Arts Council presents “2019 Vermont Artists to Watch”, a survey of contemporary Vermont art in exhibition and print. The survey appears as a special feature in Vermont Art Guide #9 and as an exhibition at the Vermont Arts Council, January 7th to February 28th, 2019. Exhibition curator and Vermont Art Guide Editor Ric Kasini Kadour recruited nine additional Vermont art professionals and asked them to nominate artists who are making contemporary Vermont art that commands our attention. One often hears the phrase “build community” or “make community”, but if you get down to think about it, communities are best described as sewn, knitted together like a sweater or a quilt. The fabric of our community is made up of the relationships between individuals. Those are the stitches that bind us. 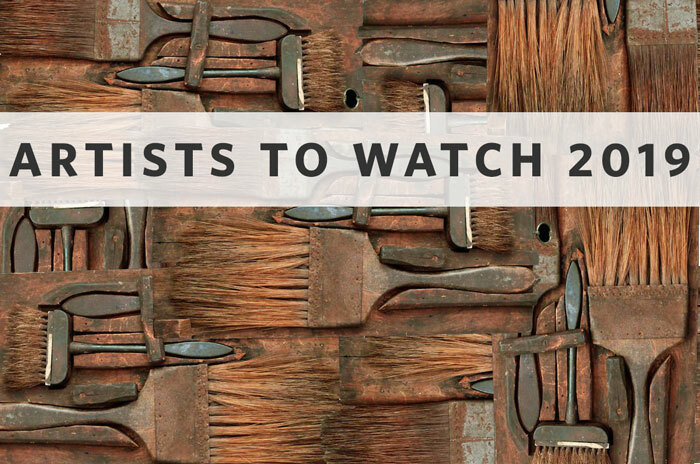 And those relationships are what make up this year’s selection of Vermont Artists to Watch. A survey of Vermont contemporary art in print and exhibition, we started Artists to Watch last year as a way of taking the pulse of the state’s art scene. This year, we refined the project a little and recruited ten curators to each select one artist and tell us why they were on their radar. Some reached far and identified an artist who they would like to work with but haven’t yet had the opportunity to do so. Others went for an artist from their own organization or gallery who they felt deserved special recognition. Some chose artists for what they have accomplished and others chose artists they felt had great potential and the were on the cusp of doing something great. The ten artists featured here are making remarkable contributions to Vermont art. It is by no means an exhaustive list but a wonderful place to start. The curators who selected artists are: Sophie Bréchu-West, Director, 571 Projects; August Burns, Independent Artist & Curator; Joshua Farr, Executive Director, Vermont Center for Photography; Jamie Franklin, Curator of Collections, Bennington Museum; Anna-Maria Hand, Gallery Director, Southern Vermont Arts Center; Kelly Holt, Artist & Independent Curator; Ric Kasini Kadour, Editor, Vermont Art Guide; Rachel Moore, Executive Director, Helen Day Art Center; Mickey Myers, Executive Director, Bryan Memorial Gallery; Andrea Rosen, Curator, Fleming Museum. Sarah Amos (Enosburg Falls); Clark Derbes (Charlotte); Hasso Ewing (Calais); Andrew Frost (Burlington); Sally Gil (Brooklyn, NY); Sean Hunter Williams (Montpelier); Elizabeth Nagle (East Dorset); Andrew Orr (Richford); Rhonda Ratray (North Bennington); and Jackson Tupper (Burlington). This Artist to Watch 2019 is a special feature in Vermont Art Guide #9. 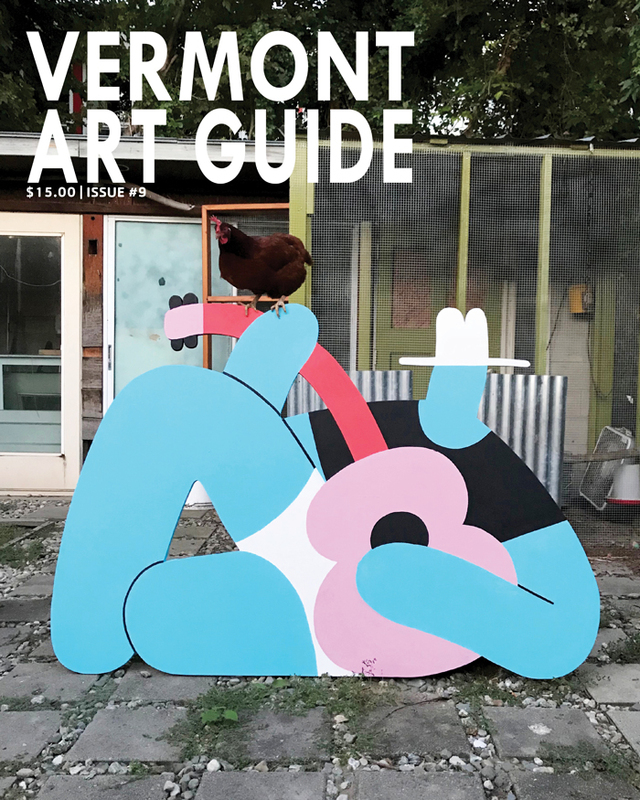 Vermont Art Guide is a full color, quarterly, printed magazine about contemporary art in Vermont. Our goal is to connect the entire state’s art community by sharing information about exhibitions and events; present a picture of Vermont art and art in Vermont, to tell our story; and to build an audience for Vermont art inside the state and out. We hope you will join us and SUBSCRIBE TODAY. The Spotlight Gallery has rotating exhibits of artists throughout the year. The gallery is focuses on curated group shows. Sculpture is displayed in the front garden.